Friends of an army bomb disposal expert whose extraordinary courage saved dozens of lives in Afghanistan and Iraq are campaigning for him to be awarded a posthumous Victoria Cross. 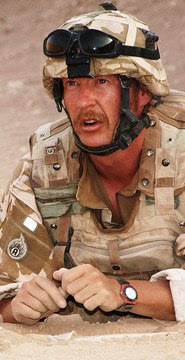 Warrant Officer Class 2 Gary O'Donnell, 40, was killed in Helmand province last September while attempting to disarm an improvised explosive device (IED). Yesterday he was awarded a second George Medal, or Bar, the first presentation of its type for 26 years, in recognition of two incidents in May and July, when “he placed himself in immense personal danger in order to protect his comrades”. James Boyle, a former controller of BBC Radio 4 and a family friend of Warrant Officer O'Donnell, said that everyone who had known the soldier felt a deep pride in his life and achievements. But, Mr Boyle added, many of these same friends “knew Gary deserved the highest military honour - the VC”. The Ministry of Defence said that the VC was presented “for valour and self sacrifice ... in the presence of the enemy”. Mr Boyle said that no soldier who had worked in bomb disposal had won the medal, because they were not seen as combat troops. “Bomb disposal personnel simply cannot get the highest award because for all their humbling bravery, their work isn't seen to fit the description. Gary was constantly putting his life on the line and on one occasion, when he was defusing a bomb, he detected a guy trying to detonate the thing by using his mobile phone. That is how close he was to the presence of the enemy,” Mr Boyle said. In that incident Warrant Officer O'Donnell had gone in to inspect and defuse a bomb, after a robotic reconnaissance device had failed in the searing heat, Mr Boyle said. He became aware that an attempt was being made to trigger the device by a terrorist, who was in a nearby crowd, being held back by troops. Lead screens around the device are thought to have deflected the signal. On another occasion, Warrant Officer O'Donnell prevented an explosion that would have killed him, by jamming his fingers into a closing clothes peg, designed to detonate a landmine. Warrant Officer O'Donnell's Bar follows the medal he won for disposing of a highly complex, innovative IED in Iraq while working with the Joint Force Explosive Ordnance Disposal Group in 2006. Campaigners may face a long fight. The VC is the highest military award in the armed services for gallantry under fire, and an equivalent medal, the George Cross, is made to both military personnel and civilians who have shown great courage in highly dangerous situations. The George Cross was inaugurated by George VI, who was moved by the courage of civilians during the Blitz of 1940. Subsequently, 105 of 156 George Crosses have been awarded to military personnel. Mr Boyle said that it was time for this military tradition to be overturned. Shortly after Warrant Officer O'Donnell's death last September, he wrote to Des Browne, then Secretary of State for Defence, and to the military authorities to make the case. Proof of ghosts or dust on the lens?